Being one of the largest companies, we are engaged in supplying, trading and service providing a wide range of Bridal Flowers to meet the demands of our clients. 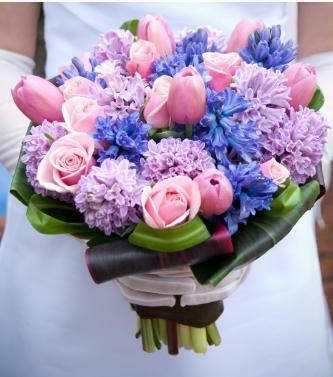 These flowers are pure and fresh and are available in different sizes. These flowers have less leaves and each and every flower is bloomed perfectly. We are offering these flowers at economical rates. Nilla blooms is a floral designing boutique established since 2002. Nilla blooms speciality is in designing exquisite flower arrangements that are made from exotic, fresh and beautiful flowers sourced from all parts of India. We are experts in fresh flowers, bouquets, bunches, baskets, artificial arrangements, dry flower arrangements, corporate arrangements, wedding garlands, wedding decorations, car/room decorations, balloon decorations and party arrangements. We have our presence with major MNC's and corporate's with over 171 cities in India & 38 countries across the globe.